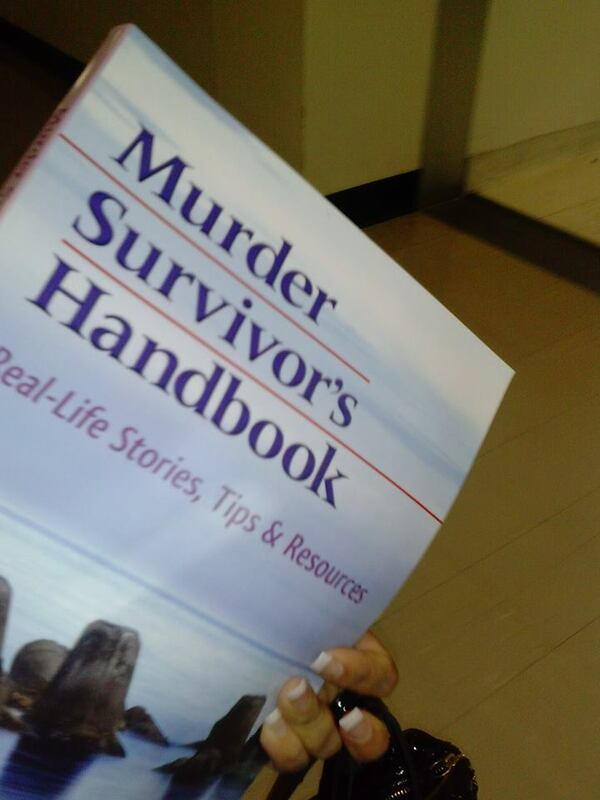 Murder Survivors Handbook goes to court! It’s gratifying to see that people are getting value from the Murder Survivor’s Handbook that a group worked so hard to produce. This is exactly what Survivor Writers had hoped! Many co-victims of murder asked me to write this book so those who must make this tragic journey will have a helping hand. We are all saddened that there is a need for this book, but I am happy that we were able to pull this together in the interest of helping others. As a network news producer who focuses on violent crime, I meet families all the time who have just gone through the worst thing ever and then have to deal with a world of cops, prosecutors, media that they’ve never dealt with before. The Murder Survivor’s Handbook is a great resource. It’s something I will share with families I meet in the future. It’s great that you have taken the time to put down on paper what you’ve learned through your own tough journeys. Murder Survivor’s Handbook helps family members adapt to the aftermath of murder. The book was formally released on September 25, 2014, to coincide with the National Day of Remembrance for Murder Victims. If you know someone who has had a loved one murdered, please tell them about this book. Dare I Call It Murder? — A Memoir of Violent Loss • Facebook: Dare I Call It Murder?